Do you see the new paper tote bags? From left to right: the Amaryl Tote, The Bowman Tote and the Coconut Tote. These bags are made from used corn startch, flour and dissicated coconut pakcaging. They are not yet for sale but you can order them in the meantime. I also had the famous PPC Cement Laptop Bags there and Gift Map Bags. P.S. Notice the very cool display built by Duchene Cabinetry. Thanks Jean and Mannette – you guys did an amazing job. 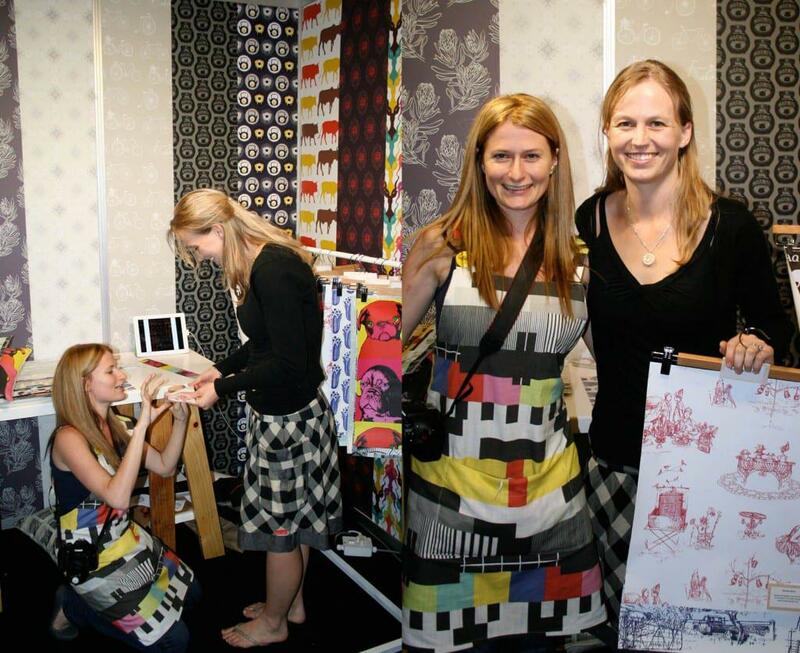 Design Kist have discovered and are offering an amazing product – stick-on and peel off (again and again) wallpapers. The ‘Lovely South Africa‘ Toile and ‘Darling Toile‘ drawn and designed by myself are part of this range launched at Design Indaba this year. You can buy running metes of this print on Design Kist’s website. 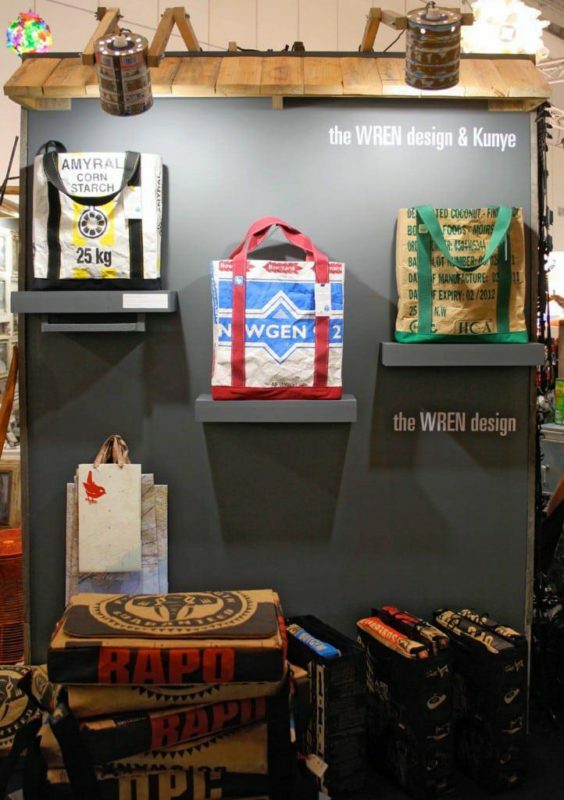 A third spotting of WREN bags at the Design Indaba Expo was on the Design Indaba official shop advertising boards. To see more pictures of the Design Indaba Expo, which was an event I believe was the best in years, visit the family blog se7en.org.za. They took some fantastic photographs that really give you a great overview of the event. 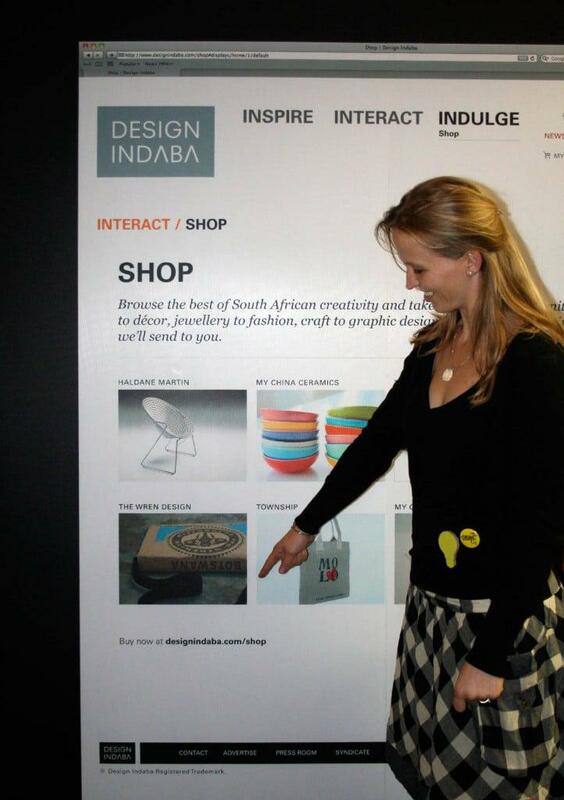 This entry was posted in Blog and tagged 2012, coconut, corn starch, Design Indaba, design indaba expo pics, design indaba exposition, design indaba shop, design kist, duchene cabinetry, expo, flour, laptop ag, paper, paper bags, south african toile, toile du jouy wallpaper, toile wallpaper.